Autodesk interviewed our visualization director, Carlos Cristerna, to learn more about how we’re using its new VR toolset for 3ds Max. Read on for more. Clients come to us and ask for VR because their competitors are using VR technology. VR is hot right now, so everyone wants it–without knowing why exactly. One of our core values at Neoscape is to question assumptions. Whenever a client comes to us with a predetermined idea of the solution they need, we always question why. I can show you a bunch of photos of cars and tell you which one is better, but until you’ve taken it for a test drive, you won’t be sure of your own decision. You may be able to make an intellectual decision based on features and price, but your gut might instill doubt. VR has the power to pull on these emotional strings. It has the ability to put someone in a place that still doesn’t exist and simulate that feeling of being there, immersed in the space. If a client’s challenge can be solved by communicating this particular feeling, then VR is the way to go. 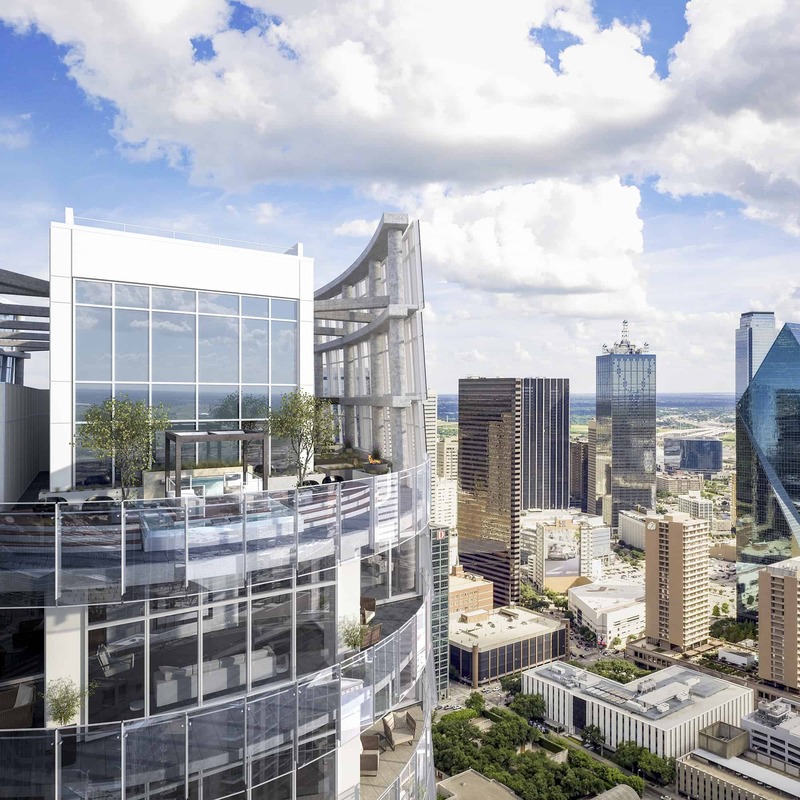 We recently worked on visuals for a penthouse in Dallas. It was part of a high-rise called the Museum Tower. The penthouse was still available and, as penthouses often do, required extra care and attention in its marketing. The pool of potential buyers is not only smaller for these ultra luxury residences, but they are also often international buyers who are unable to simply pop over for a quick tour. We created a series of renderings to help them realize the potential of the space once fully built out and designed. I happened to be in Dallas after we had delivered the renderings and stopped by to visit the project. To experience that space wa amazing. You can take all the pictures you want. You can create all the renderings you want, but when you are faced with a unique space….there’s no comparison. Whether it’s a huge airport, a penthouse, or a multi-story lobby–the only real way to appreciate the scale of the place is to be there. I realized that the experience of this penthouse would be so, so much more impressive if it could be recreated in real-time VR. As I’m having these thoughts, Bruno from the 3ds Max development team reached out to us looking for a project that they could use to test their latest feature in 3ds Max: a real-time engine that would simplify content creation for VR. The timing couldn’t have been better. We’ve tried several different engines in the past to create real-time VR experiences. In that process, we spent so much time (sometimes months) transferring data from 3ds Max to other platforms. We tried out 3ds Max Interactive for obvious reasons. We’re already 3ds Max users, and we know 3ds Max very, very well. Being able to transfer our large datasets from viewport to viewport and output our work to a different medium with one click was not only convenient but quite impressive. It’s a huge added value for us and, subsequently, our clients. Until this point, re-purposing our work to use other workflows had been quite a hassle. And just like that, the penthouse project was a natural fit for us to test the new 3ds Max features. It had plenty of big spaces–interior and exterior–large windows, and we already had it built. We worked with the 3ds Max team on pushing the visual boundaries and capabilities of 3ds Max Interactive. In the end, it paid off. With this new VR solution, we’re able to offer our clients a greatly enhanced experience as a by-product of work we were already producing. It’s a great strategic value to our clients. VR will become another tool that we have readily available to help our clients, and it will undoubtedly change our industry. Now that the technology’s more accessible, how we collaborate will change quite a bit. For example, we work with lots of people who know what we do and have a general idea of how we do it. They’re not necessarily 3ds Max experts, but VR technologies will bring them into the design process, allowing them to experience 3D spaces and give their input in an interactive way. Nowadays, artists in this field need to know their way around 3ds Max, among many other tools. With VR content creation capabilities now being part of a de facto tool like 3ds Max, it makes more sense for us to invest in the knowledge and learning. The workflow has been simplified. Quite simply, you no longer have to be a VR expert to create VR content.